Interested in learning rescue skills to improve your safety out there? Then join our Rescue workshop for CCSA members Saturday 28th May! Location: TBC – most likely Morialta! Simon Wilson from Wilderness Escape has kindly offered a special price of $44 per person incl. GST, for financial club members. Topics covered: ascending and descending systems, correct application for different prussic hitches and rope grabs, mechanical advantage systems and common rescue scenarios. This is for experienced climbers with a reasonable level of ability: can set up top ropes and use a variety of belay devices, do top and bottom belays, and can abseil. Places are limited. Please email events@climbingclubsouthaustralia.asn.au to register your interest or for further info. This entry was posted in Club News, Events on April 28, 2016 by Kylie Jarrett. Sunday 12th July, 2015. Meet at 9:30am at the car parking near gate #17 on Norton Summit Road. Work will finish at 12pm but bring some lunch and join us for an afternoon climb. Olive control! Weather dependant we’ll be both drilling more olives at Billiard table and continuing to work down the track pulling or popping smaller olives as we go. Sturdy shoes, hat, water, morning tea and for those working at the base of the cliffs helmets. Don’t forget your gear and some lunch if you intend to stay for an afternoon climb! If it is raining bucket loads the event will not go ahead. If there is light rain we won’t be drilling. Can we count on you? Please email Crag Care to let us know so we ensure we have enough tools for everyone. This entry was posted in Club News, Events on July 6, 2015 by CragCare. Come along to see Mike’s presentation, all welcome. This entry was posted in Club News, Events on June 4, 2014 by Events. The CCSA in conjunction with the Friends of Black Hill and Morialta is pleased to announce our first habitat restoration day up at Morialta Conservation Park. Sunday 11th May. Meet at 9:30am at the car parking near gate #17 on Norton Summit Road, or if you want to meet at the crag be there from 10am. Work will finish at 12pm but bring some lunch and stay for an afternoon climb. This entry was posted in Club News, Crag Updates, Events on May 5, 2014 by Events. This entry was posted in Club News, Events, Member Offers on May 2, 2014 by Events. We have a special treat for you all this month. 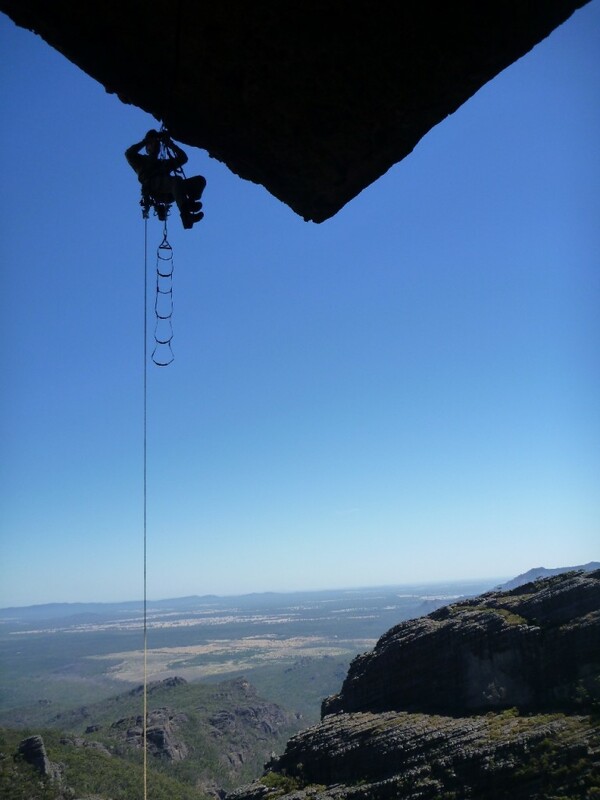 Doug McLean, a pioneer of climbing in Adelaide, one of the founding members of the CCSA and a first ascensionist of Peregrine will be giving us a presentation titled “50 years of climbing”. Come along for a great night! 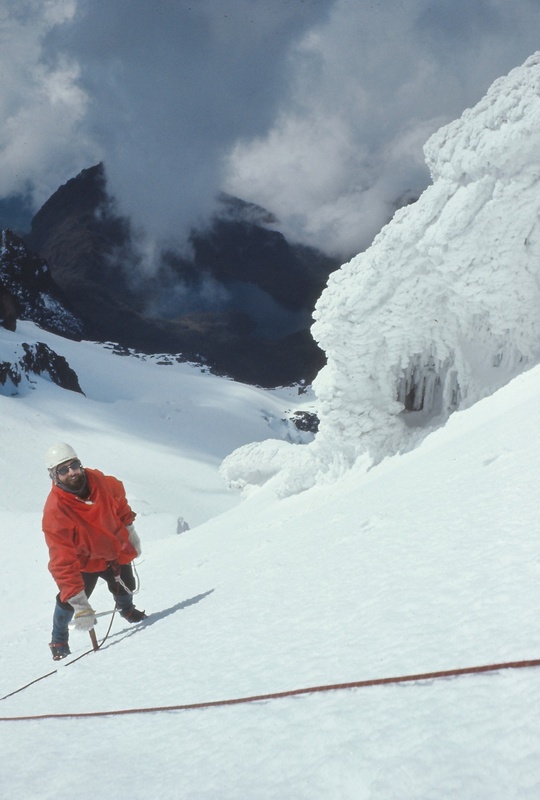 Dave Moriarty, the first President of the CCSA, climbing Mt Stanley, Ruwenzori Mountains. This entry was posted in Club News, Events and tagged Event on April 3, 2014 by Events. The REEL ROCK Film Tour brings the best climbing and adventure films of the year to live audiences throughout the world with shows of high energy, community feel, party atmosphere that go beyond a mere film. Founded in 2006 by ground breaking filmmakers Josh Lowell (Big UP Productions) and Peter Mortimer (Sender Films), REEL ROCK has grown to over 400 events per year, reaching over 100,000 viewers worldwide. This entry was posted in Club News, Events, Member Offers on September 2, 2013 by Events. Pre-order the next Tassie guide book now! 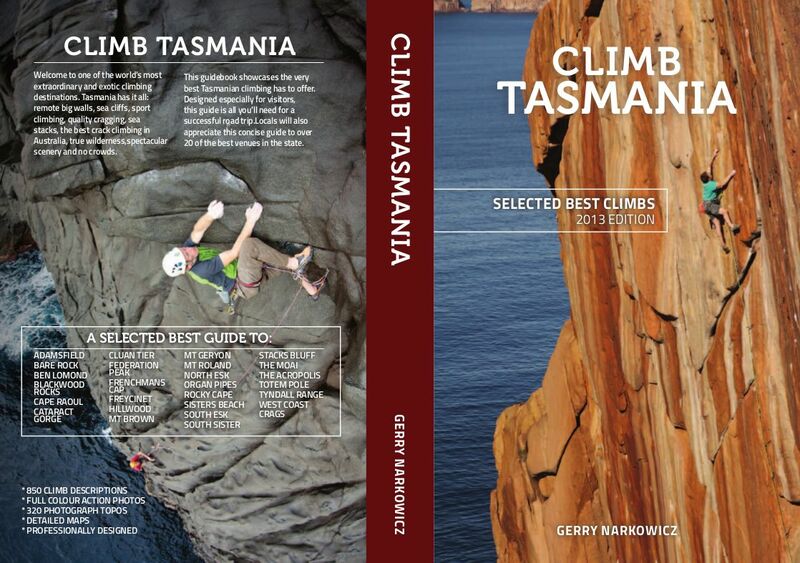 The Climbing Club of South Australia Inc in conjunction with Climb Tasmania Inc would like to offer you the chance to pre-order the next edition of “Selected Best Climbs” from “Climb Australia” by Gerry Narkowicz at a discounted price. This guide book is considered the guide book of choice by most visitors to Tasmania and the 2005 edition has now sold out. The book will be published in December 2013 and will retail at $49.95. This entry was posted in Club News, Events and tagged Event on August 22, 2013 by Treasurer. With nearly 800 plants to put in place PLEASE COME ALONG AND HELP! Recent involvement by climbers with the residents has greatly improved relationships. Let’s keep up the good work! Please bring digging tools and gloves, all volunteers greatly needed and very welcome! This entry was posted in Club News, Events and tagged Event, Norton Summit on June 15, 2013 by Treasurer.